In classification algorithms, the response on which the analysis needs to be qualitative in nature. The objective in these algorithms is to identify which class the new data will belong on the basis of analysis of historical data. The tools for classification algorithms are Logistic Regression, Decision Trees, Neural Networks, Support Vector Machines, etc. In regression techniques, the response needs to be a quantitative continuous variable. We tend to predict the future value of the response on the basis of historical data. For example, we want to predict the rainfall on the basis of humidity and temperature. The tools for regression algorithms are Linear Regression, Regression Trees, etc. In many countries, the laws regarding the health care sector are very stringent. Once a patient is discharged from the hospital, if the symptoms from the disease reappear in the next few days, his treatment has to be entirely borne by the hospital and the hospital gets penalized for the lack of attention to patients. Using analytics we can help the hospitals to predict the patients who have high likelihood to re-admission to hospital within 30 days, or about the diseases, which can reoccur within next few days period. These analytics helps hospitals and health care sectors to put more emphasis on those patients as well as diseases. Similarly, there are many diseases which are interrelated to each other. For example, High Blood Pressure and Heart Diseases. Thus, analysis on one disease will lead to analysis on the related diseases, thereby gaining more and more knowledge on them. Also, clinical trials is a branch of analytics which involve the analysis on different new drugs on which the scientist research for various diseases. With the predictive analytics and test of hypothesis in clinical trials domain, the drug cannot reach to market. Here also predictive analysis has huge impact on healthcare sector. Predictive Analytics can help to streamline the entire health care process and by using social media into analytics. Diseases can be found before they become and epidemic and the vaccinations can be prepared before an epidemic situation arises. Therefore, we can see that predictive analytics plays a huge role in healthcare sector to better maintain their patients. Similarly, it also helps the healthcare sector to bring out new drugs for various diseases in the market. Finally, predictive analytics being important in healthcare in terms of patient safety, health insurances. There are various algorithms available which can be used for this purpose. But in general having an experience in the healthcare domain helps in analyzing the data. A person who has worked on data analytics, data mining and who has knowledge about the healthcare domain would be able to understand and analyze better. Also, feedback and data gathered from different users like physicians, medical practitioners, nurses etc. help in analysis, since this is real time data. Patient health and patient safety is extremely important. E.g. Current lifestyle, food habits, maternal and paternal medical history of the patients can be analyzed. 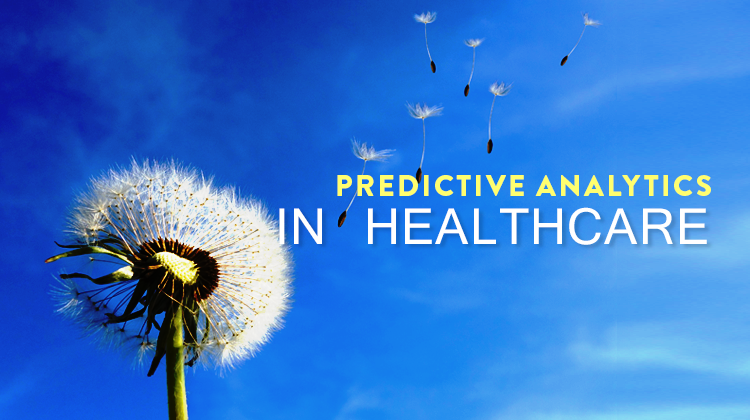 Different predictive analysis tools can be used to determine which patients are at risk of developing conditions, like cancer, diabetes, asthma, heart disease, or any other chronic illnesses. If a risk area for a patient is identified, the physicians can suggest lifestyle changes or give some medication so as to avoid the occurrence of the disease. As per the US government law, the hospitals are liable to pay a fine if the patient is readmitted to the hospital within one month from the date of discharge. Because of this, more and more hospitals are going for various predictive analytics tools, which would determine the probability of the discharged patient getting readmitted. If they identify the patients, who are probable for readmission the hospitals can provide sufficient care, nurses or therapies, which will help the patient recover and lessen the probability of her/him getting readmitted to the hospital. Another area which needs focus for predictive analysis is the length of stay at a hospital. It is important that a patient is given proper care and is discharged in a timely manner. Patient demographics and patients clinical history plays an important role in determining the length of stay. There are a number of predictive tools and technologies available which help the organizations in Predictive Analysis. Though the organizations maintain a positive approach towards usage of such tools, most of the organizations are still in the planning phase and not yet ready for the using such tools. It is important for them to pick up small projects for implementation which can be understood and monitored by the clinical team. Also, it is important to build a right team for this analysis, a team, which has experience and understands EHR, data modelling and clinical risks. The sector should understand that predictive analysis is a long process and they may not get the desired output immediately. Thus, in short, we see that predictive analytics plays a huge role in healthcare sector and it cannot ignore its implications in any form.